Alright Blizzard, you’re really getting out of hand now. 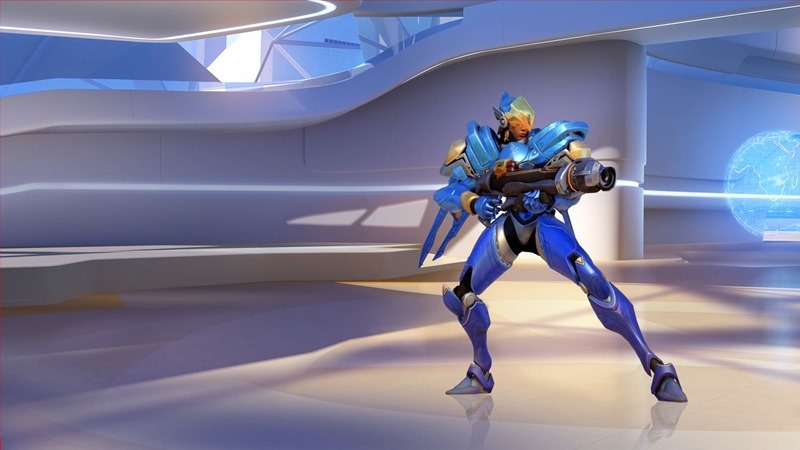 You released a gameplay video for Reinhardt yesterday, and barely 24 hours later, you unveil new one for Pharah? You’re impossible… I can only spin so many Overwatch article introductions each week before the barrel runs dry, and now I’ve had to thumbsuck another! Fareeha Amari’s commitment to duty runs in her blood. She comes from a long line of highly decorated soldiers and burns with the desire to serve with honour. Pharah looses a wrist rocket that knocks back any enemies it strikes and deals immense damage to shields and barriers. Well, she certainly knows how to use it. It’s not every day one witnesses a 37 kill streak! Out of all the characters I’ve seen in action, Pharah is my favourite. I like how the gameplay video demonstrates her mobility in both offensive and defensive scenarios. That and rocket launcher… one cannot go wrong with a rocket launcher! She is definitely the character I want to try the most. Honestly, this is the first Overwatch video I’ve seen that has me somewhat boarding the hype train. What about you? Are you sold and keen to play the game? Or does the game not interest you in the slightest? Previous article Why should you care about Battleborn?